Today I have a little bit different lens review for you all! :) I will be reviewing one of those crazy Halloween lenses, namely the RevoColour Yellow Twilight contacts, aka C-242! Don't let the name fool you though, these are definitely orange and not yellow in any way. 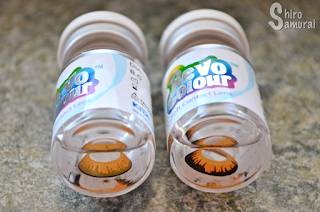 As with most crazy and animation lenses out there these are really opaque and will cover your natural eye color completely, whatever shade it might be. 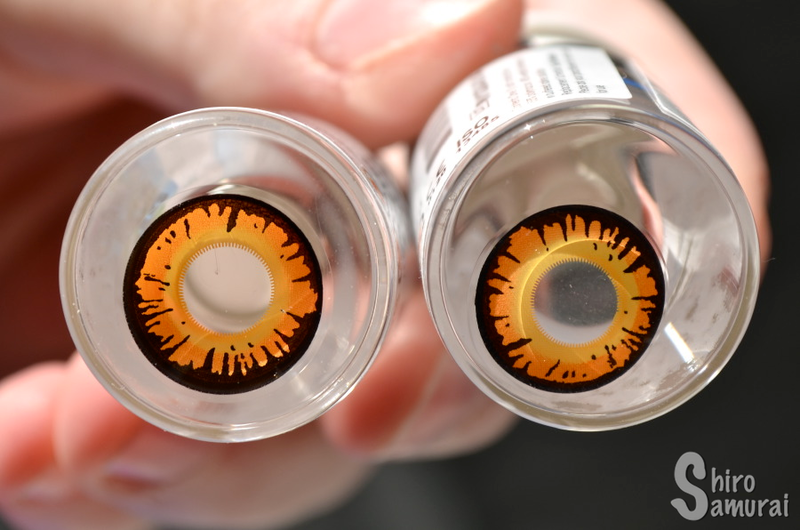 I have light blue-gray eyes and these turn my peepers into orange wolf-like eyes in a second! The effect they give is really cool! These lenses are so vibrant that they show up easily even from a distance – no one will miss that you're wearing colored contact lenses! These lenses are really easy to insert and I never had problems with them stinging or annoying my eyes, but they do make my sight very slightly fuzzy – imagine being in a field with some beginning mist and gazing away at a distance, that kind of minimal blur is what I see. 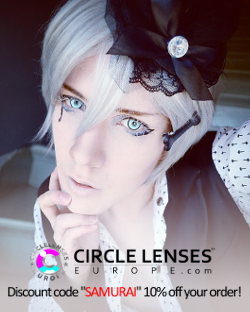 The thing with these is that they have a slightly smaller pupil hole than your average circle lenses and thus you will, most likely, constantly have orange corners in your vision – I experience this in most light conditions, except outdoors when the sun is out. It doesn't really bother me all that much but it's something that you do notice because it gives a minor "tunnel vision" effect; if you've worn any of the highly popular EOS Dolly Eye series you'll know what I mean. I wore these lenses at a con for around 4 or 5 hours before they started to feel dry enough for me to want to take them off. All photos taken by me during an August afternoon with a clear sky. The close-up photos are free from any color filters etc so that the colors would be as true to real life as possible. Orange light in the staircase, with natural light (window) coming from the side. Outdoors, facing the sun but sitting under the shadow. Indoors storage room. Natural light (window) from the side. What can I say? These have an amazing color and look amazing even from afar. They're perfect for cosplay, wolf-inspired looks, funky styles, monsters, alternative fashion, fantasy creature costuming and whatever else you can imagine would look cooler with orange eyes! ... Oh, and those vampires from the Twilight series too, if you're into that. 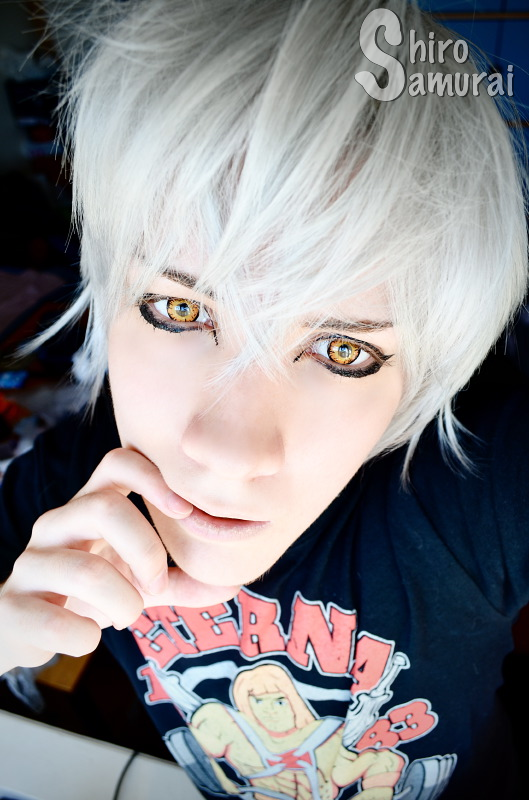 Honestly, if you need orange contacts then get these. Like, really. I swear you won't be disappointed, they really stand out. 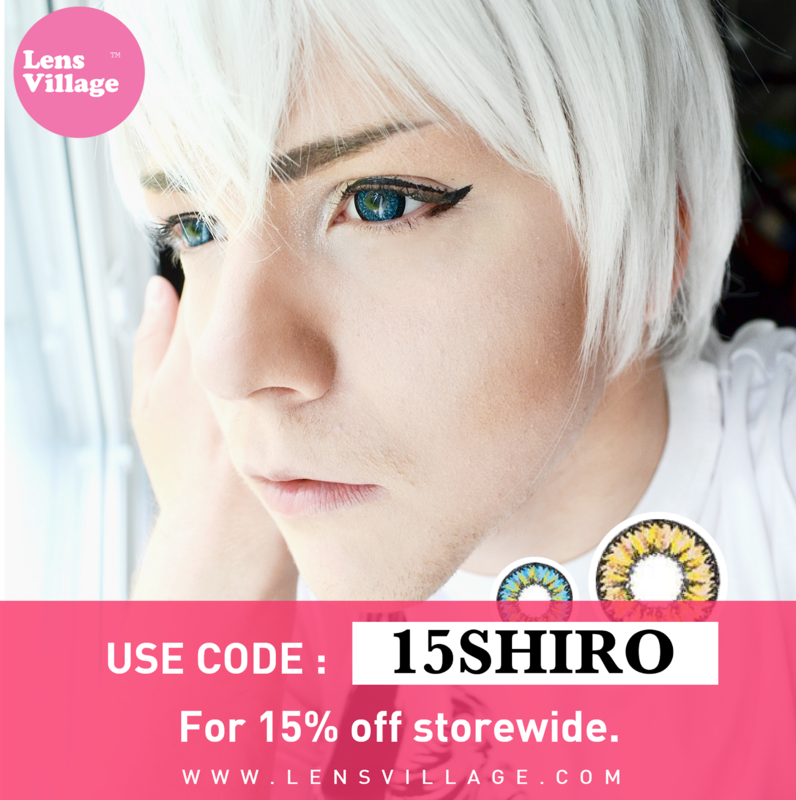 These are seriously one of the best lens purchases I've done and they're comfy enough for me so that I can wear them to a convention for at least half a day! 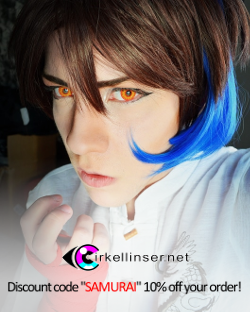 I can't recommend these enough because they really are some of the best vibrant orange lenses that are currently available, especially when it comes to design and color. Oh and yeah, I bought these from HoneyColor and, as far as I know, that's the only site that carries Revo Colour lenses so yeah, head there if you want to purchase a pair of your own! The color does what it should, looks badass and delivers pure orange vibrancy. Excellent. Really nicely detailed crazy lens, one of the best orange lens designs in the market! Completely covers whatever natural eye color you have and turns it undeniably orange. Decent. Not big but not super small either. A nice mid-ground. Pretty decent. They are really comfy at first but the first signs of dryness come around the 2,5 hour mark for me. Around 4,5 hours they start to feel dryish but I could wear them longer if I wanted or needed to. Unless you're a fekkin' Twilight vampire then these won't cut it. 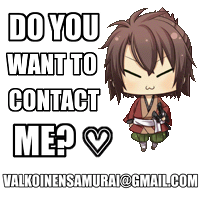 Sorry, lol. 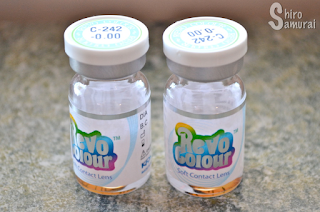 Thank you for reading my contact lens reviews! 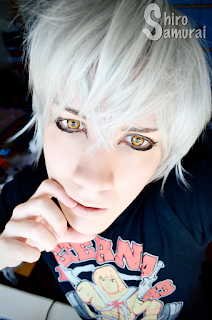 SDK Hotaru wig tests – Which wig should I use?